Apple just announced about the biggest event of Apple. iPhone 6 released with many more improvements to let you to enjoy your life with iphone 6 ever made. They announced this event as their biggest advancement in iphone history. Apple made iphone 6 in two different types. Apple iPhone 6 and iphone 6 plus. They discribed about the design, features and many other apps on iphone 6 models. They told that, they are the thinner idevices ever. iPhone 6 is 6.9 mm slim and iphone 6 plus is 7.1 mm slim. They don’t have edges. Apple made both of them with glass curves arround the device. The covers are made by aluminium which can be used as annodes. 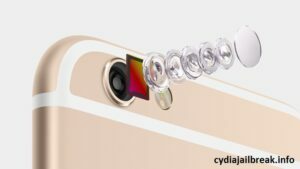 iPhone 6 and iphone 6 plus, both devices have Retina displays with full sRGB wide colour gamut.It cause to show beautiful pictures and attractive screens. This is very strong display on iphone ever and this is the most beautiful display on iphone and the industry. It’s awesome. Apple iphone 6, the smaller device is about 4.7 inches display and iphone 6 plus is about 5.5 inches display. 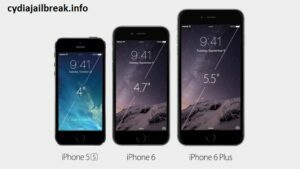 iPhone 6 released with 1334 resolution and iphone 6 plus released with 1920 resolution. There are many new usable and attractive features on both iphone 6 models. The landscape view is an important one of them. It let you more comfortable to use iphone. The keyboard also bigger and clear. They insert the new landscape mode into Homescreen also. So it looks better now. They specially explain about the compatibility of iphone 6. It supported to more than 1.3 million apps now. It’s so cool. iPhone 6’s and iPhone 6 plus’s processors are faster than the other iphones. It’s about 50 times than before. Both devices are powered by the A8 chip. It is more faster for the processing and specially for loading graphics. iPhone 6 devices are made up to more energy efficient. They promoted the iOS 8 Health app also with the new iphone 6 for measure physical activities. iPhone 6 and iPhone 6 plus devices are supported to get the voice more clear and crisp. The wi-fi speed also up to three times faster than iphone 5S. With wi-fi calling using iphone 6 let you to make clear and high quality calls. This is an awesome 1.5 micro pixels and f/2.2 aperture with new sensors. It found the great technology in iphone 6 iSight camera which used in professional cameras. The sensors help to focus get pictures more better and faster. New features and tools help to take and make better pictures with iphone 6. Get more and select your favourites. Use iphone 6 camera for more shots. Then you can select the better one. This is the best face detecting device for ever. It’s sure.There are great improvements with the video mode using iphone 6. Apple ready to release iphone 6 and iphone 6 plus with the new Apple operating system iOS 8. It will be marvelous. iOS keyboards on iphone 6 and iphone 6 plus are learn your conversations and typing style. It let you more easy. Add voice, videos, files, locations and more on messages with iphone 6 devices. Touch ID and secure. Touch ID on iphone 6 models let them more secure. It helps to keep everything private. It’s beautiful. They made silicon covers for iphone 6 and leather cases for iphone 6 plus in six different colours. Apple ready to sell these new great idevices and they start it in $199. $199 for iphone 6, 16 GB, $299 for iphone 6, 64 GB and $399 for iphone 6, 128 GB. They are available in silver, gold and gray colours. iPhone 6 plus starts it in $299. $299 for iphone 6 plus 16 GB, $399 for iphone 6 plus64 GB and $499 for iphone 6 plus128 GB. They are also available in silver, gold and gray colours. Enjoy your life with Apple!